Yale University recently came out with a statement regarding future admissions to the Ivy League school for hopeful Northside applicants. Due to the large number of applicants who have applied for admission in past years, Yale University has decided to suspend all applications to the prestigious institution from Northside College Prep until the year 2022. This means that Northside students that are a part of the class of 2019, 2020, 2021, and 2022 will not be able to apply for admission to the Connecticut-based university. Although it is a questionable decision, it is a final one as well. 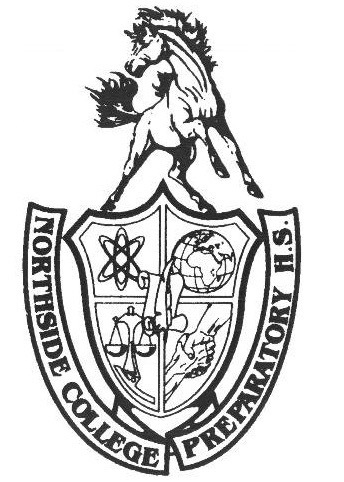 Current Northside juniors and underclassmen will have to face reality and look elsewhere as they apply for higher education in the coming years. The decision comes after recent statistics showed that Northside applicants accounted for 31% of all admission-related communications to Yale’s admissions office during the application review process. The sheer volume of applications, combined with communications regarding letters of continued interest, multiple standardized test scores, and persistent emails about decision deadlines have overwhelmed Yale’s admissions officers over the past few years. By removing Northside from its list of applicants, Yale can eliminate the 31% of the work and still have their yield relatively unaffected. No longer will they have to deal with trivial questions or underwhelming/overwhelming applications. Instead, they will be able to deliver a more holistic approach to the overall admission process by reviewing each application thrice as thoroughly. They will also be able to increase acceptances from other Illinois based schools, such as Lyons Township High School, New Trier, and Marmion Academy. Students may be outraged at first, but they will eventually see the ingenuity of the decision in the long run. They will be able to focus on other schools like Stanford University and Oakton Community College as their new reach schools. Yale University may be omitting Northside applicants, but Northsiders should not see it as that. Alternatively, Northsiders should view it as Northside omitting Yale from their own list of possible colleges. Optimism is the best policy. Current senior, Tyler Shimada, Adv. 807, gave his thoughts on the Yale decision and the college process as a whole. “Honestly, Yale is overrated. I can think of many universities superior to Yale, like Rheinisch-Westfälische Technische Hochschule Aachen University, located in Germany. It’s a much better German university than Yale. Rising seniors and underclassmen shouldn’t feel too bummed out about being on Yale’s blacklist.” Furthermore, Northsiders will be able to increase applicant volume to the other, arguably superior Ivies, like Columbia University and the University of Pennsylvania. As long as Northside stays under the dangerous 31% applicant traffic for the other Ivy League schools, they will not have to fear an automatic four year ban like the one Yale implemented. This will be a change of pace at Northside, but a pace all students will need to be attuned to. Four years without applications to Yale will not be that bad for most students. Other institutions offer the same prestigious education that comes with achieving an acceptance to Yale University. But for the Yale enthusiasts, those applicants will have to look elsewhere within the Ivies. Nevertheless, all future Northside graduates will lead a successful post-graduate career despite never gracing the land of New Haven, Connecticut.